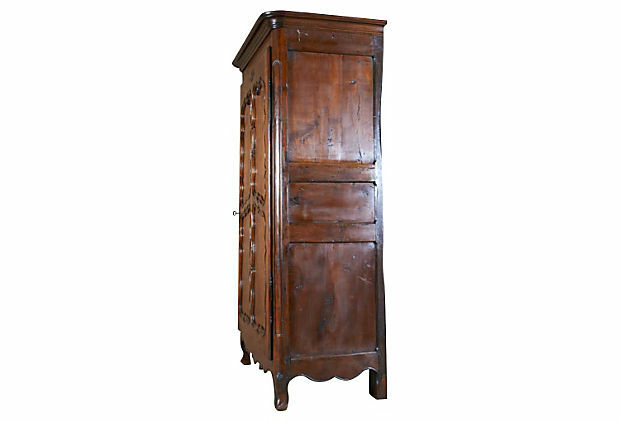 Antique French Louis XV bonnetiere. Circa late 1700s. 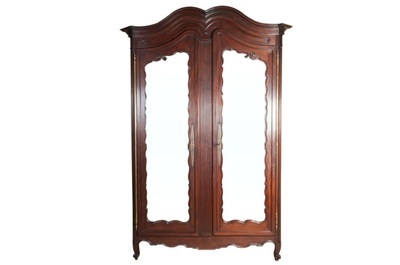 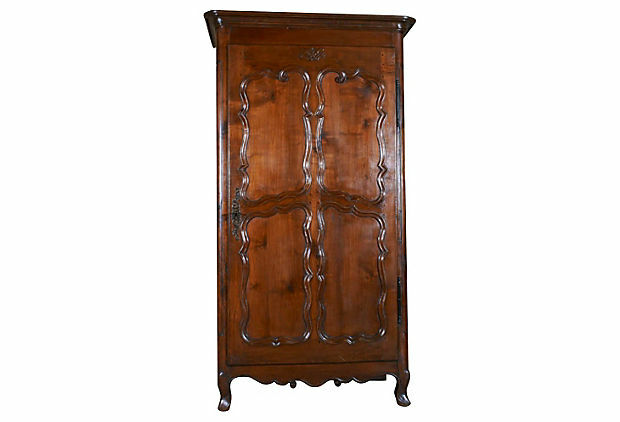 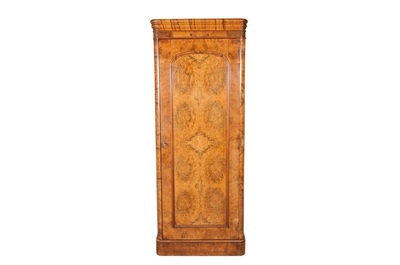 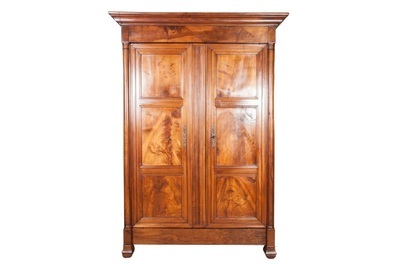 Solid cherrywood with medallion paneled door above a carved apron that sits on short cabriole legs. 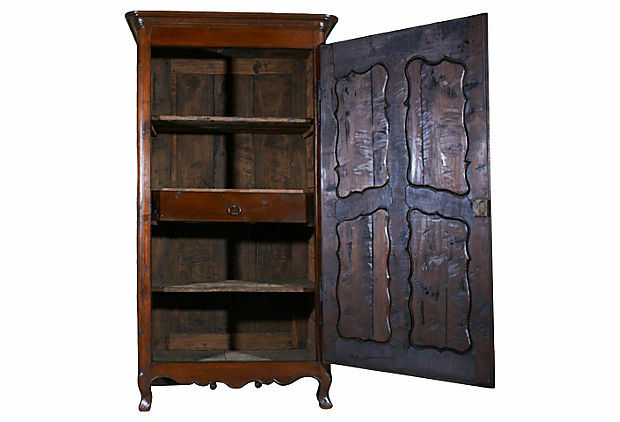 The interior has two shelves above and two shelves below a center drawer. 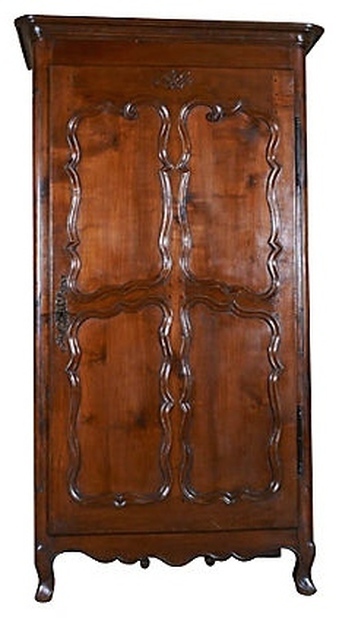 Bordeaux, France.